Finished the OSU 4 Miler run today. 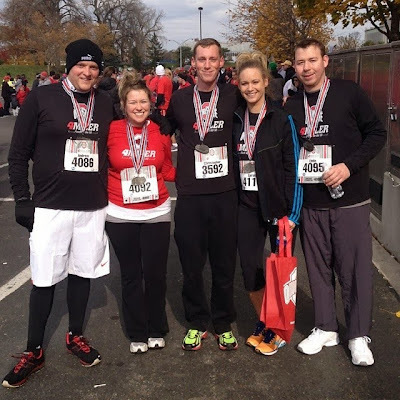 I put my body on the line and some of my breakfast 60 yards from the finish. So yea, I got sick in the north end zone at Ohio Stadium. 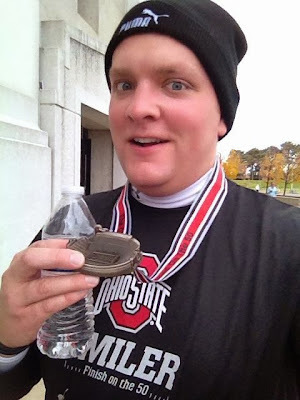 My goal was 32 minutes, but I finished 34:41. Not bad... but I know I can get my times down. And I will. Snow on the way, but rain first. The timing above is for Columbus with the temperatures on the bars. 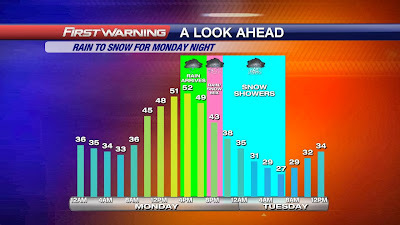 We see rain starting around 4-6PM and then switching to snow between 8-10PM and then snow winding down around daybreak Tuesday. 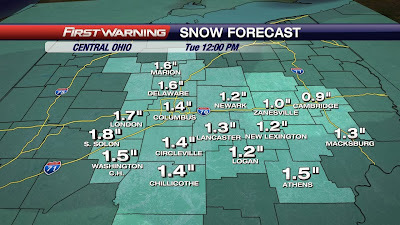 Snow will melt, but generally expecting about an inch. 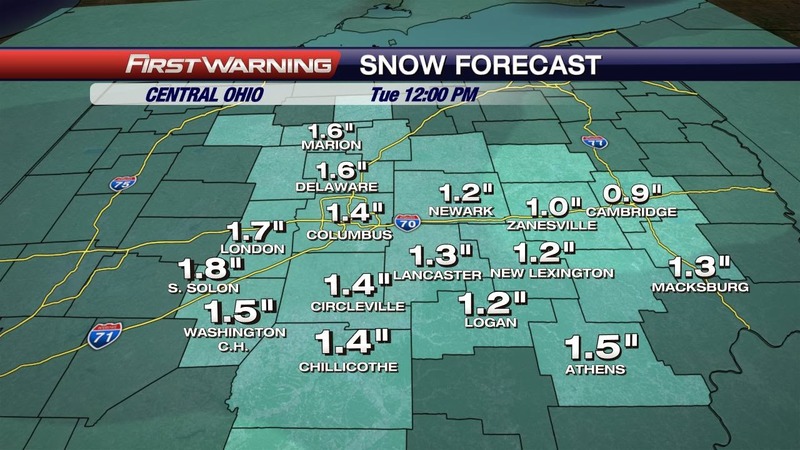 The above image is for how much snow WILL FALL by Tuesday morning... again, some will melt. Maybe a few flurries to the North for Tuesday due to lake effect snow. Then we stay dry for a while and MUCH colder for the middle of the week. Stay tuned to the forecast for any changes to the snowfall totals. Have a good one!